"The town of Pleiku, capital of Gia Lai Province, is easily recognizable to those who lived through the Vietnam War era: The American Seventh Cavalry, an air brigade and the unit featured in the film Apocalypse Now as the Wagner-blaring helicopter squadron that rains terror in its path, touched down south of Pleiku near famed Camp X-Ray in the La Drang Valley on November 14, 1965, for what would be the first open combat between American and North Vietnamese regulars after full American deployment at Danang. The area is hallowed ground to the veterans of both sides who fought here, and hosts many returnees." Pleiku - is the capital of the province Gia Lai and it's located in the center of the Central Highlands atop a large plateau, which is surrounded by mountains and valleys formed by volcanic activity, which took place 25-30 million years ago. Gia Lai is sandwiched between the provinces of Dak Lak and Kon Tum. 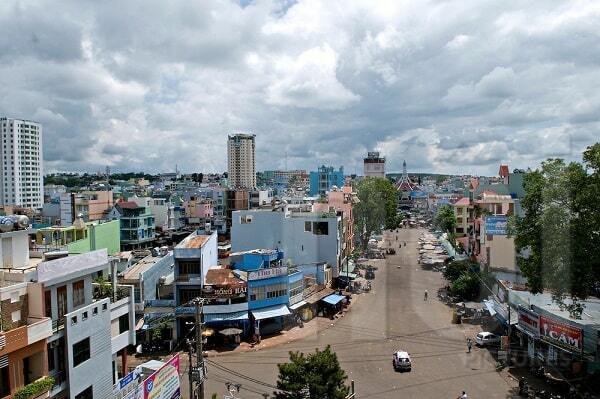 The provincial capital of Pleiku is located at the intersection of two major roads in the highlands. 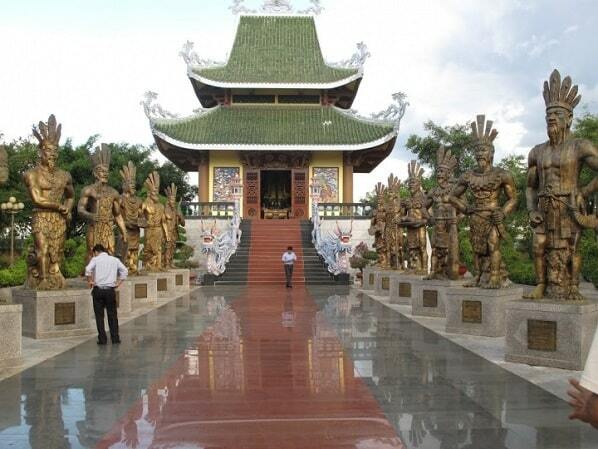 Most travelers who visit Pleiku, usually have a different purpose. 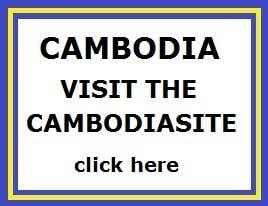 They want to go to the nearby border crossing of Cambodia and Laos, or they want to travel to Kon Tum. At first sight there are only few foreigners hanging out in Pleiku. They stay here because the city is largely destroyed at the end of the Vietnam War. In the 80s it was rebuilt and it's now a sprawling city without any charm. But given the distances between cities in the Central Highlands, it is very likely that you will stay in Pleiku. You can make day trips from Pleiku to the nearby cities (Kon Tum & Buon Ma Thuot), or to the nearby villages, which are home to the minorities. However, keep in mind that you need an official guide, if you want to visit such a village. However, if you want to look around in a minority village without a guide, you have to travel 50 km to the north, to the province of Kon Tum, where there are less rules. The picturesque Kon Tum is much more hospitable to the small stream of travellers, who want to visit the northern part of the Central Highlands. Although both have the same ethnic diversity of culture and traditions, Kon Tum has turned into a more accessible province. However, before you want to skip Pleiku, I must tell you that there are some spectacularly beautiful landscapes and unexpected natural wonders. Wonders that remained unspoiled (that too is a rarity in Vietnam) as the Phu Cuong waterfall, which is truly breathtaking and completely off the radar to visitors of this province. There are no boat trips or concrete animals on the pine-lined blue water of the Bien Ho Lake, a fully flooded vulcano crater near the city. Just like the provinces of Dak Lak, Kon Tum and Gia Lai they produce a lot of coffee, rubber, and has a hydropower. The area outside the city center is a rich agricultural land with an amazing number of people belonging to minorities. There are just over one million. The minority groups are the cause of it, that the government imposes restrictions to foreigners. Travellers who want to visit the villages of minorities, must have an official guide and a "permit". This a pity, because it means that visitors tours can only visit mminority villages chosen by the government. Most villages therefore are without any spontaneity and you will not get a complete picture. 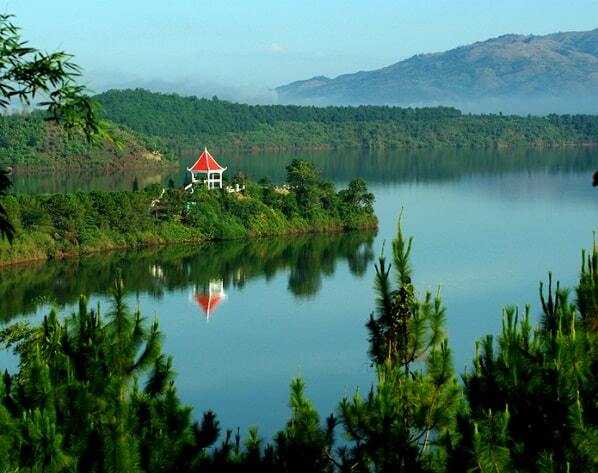 That does not mean that you can not discover attractions in Gia Lai on yourself. If you like motorcycling, you drive through a beautiful landscape and you are "off the beaten track". All the villages have at least one official or police officer and it is not wise to ask the people to see their house with cameras, or to give the children candy or to linger long, so that you arouses suspicion. Duc Long Bus Station is 3 km east of the city center of Pleiku and there are buses to other provinces and even to Laos. There are local buses to the city center, but they do not drive frequently. There are frequent buses to Quy Nhon (3 hours). Green night bus Mai Linh departs in the evening from Da Nang and is in the early morning in Pleiku. In addition, there are regular bus services to and from Buon Ma Thuot and Kon Tum. The small Pleiku airport is located 5 km north of the center of the city and has flights with small aircraft (ATR, Fokker) to Ho Chi Minh City, Hanoi and Da Nang. "Pleiku was like the older sibling of Kon Tum, with slightly better but not necessarily trendier clothes. We found a cool cafe to hang out in and Yan Wei picked up a fan (the kind that wants to practise her English with us) at the market, which led to an earnest but awkward hour spent in that same cafe. "